Located in Hoan Kiem, this hotel is within a 5-minute walk of Hanoi Police Museum and Hoa Lo Prison Museum. Hanoi Opera House and St. Joseph's Cathedral are also within 1 mi (2 km). Hanoi Railway Station is 11 minutes by foot and Hanoi Long Bien Station is 29 minutes. A restaurant, a fitness center, and a bar/lounge are available at this smoke-free hotel. Free WiFi in public areas and free self parking are also provided. Other amenities include a coffee shop/café, concierge services, and dry cleaning. All 182 rooms feature thoughtful touches like bathrobes and slippers, along with conveniences such as refrigerators and electric kettles. Free WiFi and room service are standard, as are LCD TVs with cable channels. The hotel offers a restaurant and a coffee shop/café. A bar/lounge is on site where guests can unwind with a drink. Wireless Internet access is complimentary. For a surcharge, a roundtrip airport shuttle (available 24 hours) is offered to guests. This business-friendly hotel also offers a fitness center, tour/ticket assistance, and concierge services. Complimentary self parking is available on site. Hotel Kuretakeso Tho Nhuom 84 is a smoke-free property. Restaurant KURETAKE - This restaurant specializes in local and international cuisine and serves breakfast and lunch. Open daily. 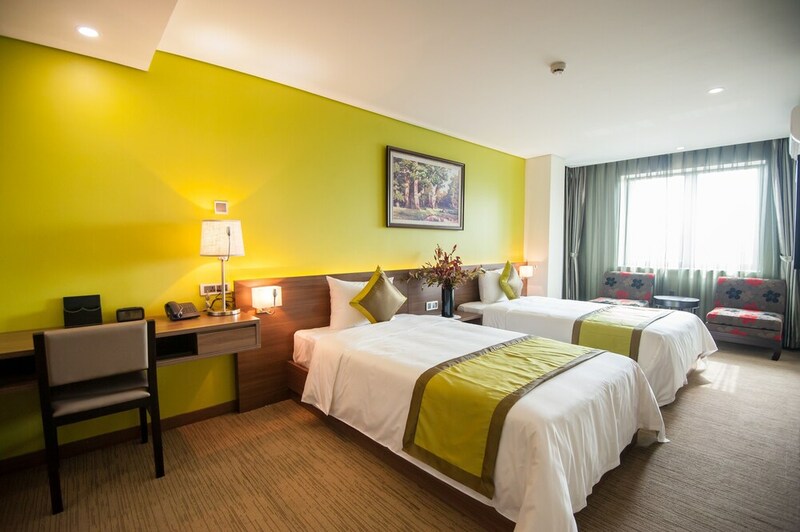 Rollaway/extra beds are available for VND 350000.0 per day.